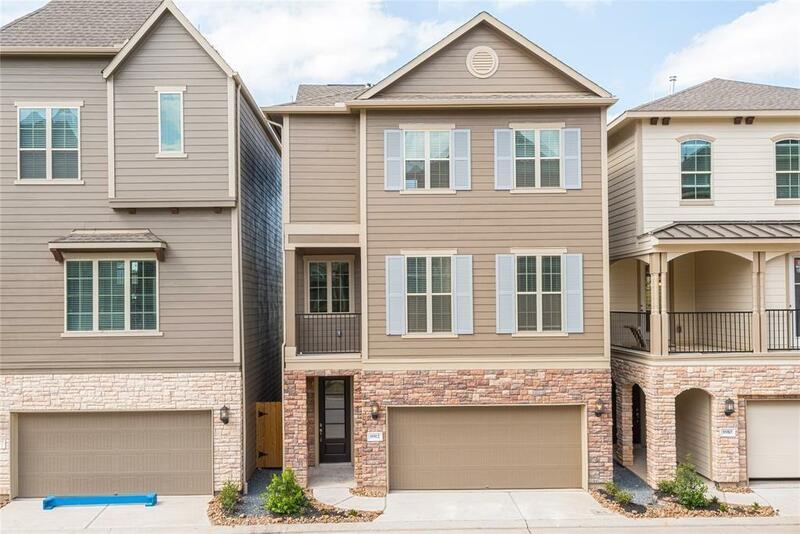 Three story stone elevation which features granite throughout, gas stainless steel appliances which also includes a washer, dryer, and refrigerator, spacious stand up shower, garden tub, third floor master with impeccable views from it's private terrace. 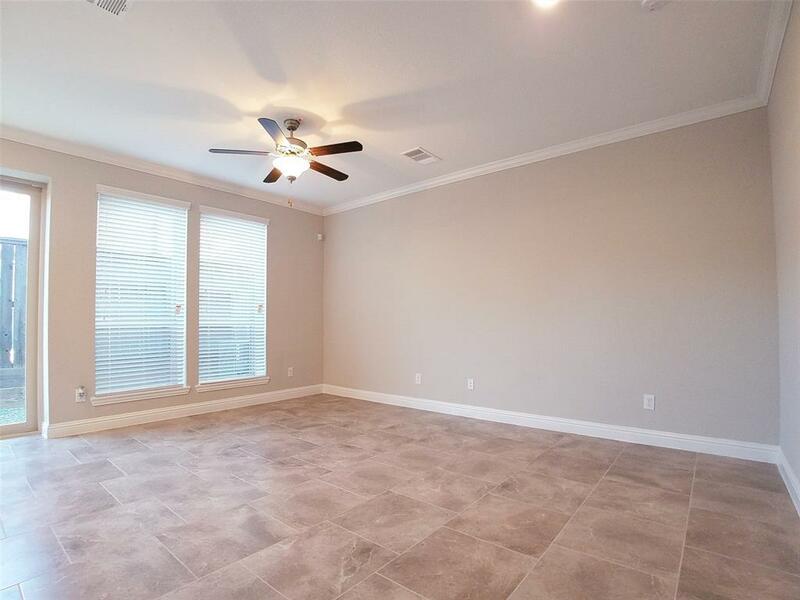 Living room also includes a balcony/terrace, crown molding, recessed lighting, ceiling fans throughout, 9 foot doors, high ceilings, tile and carpet. 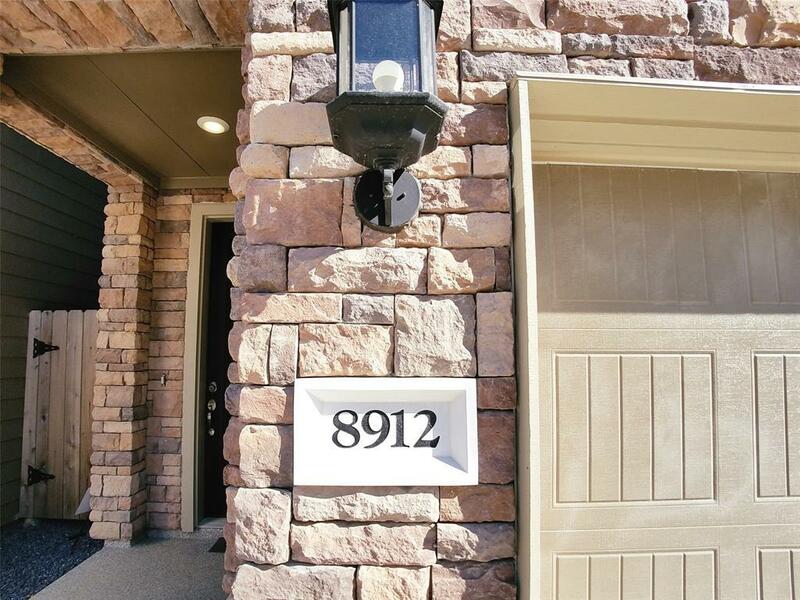 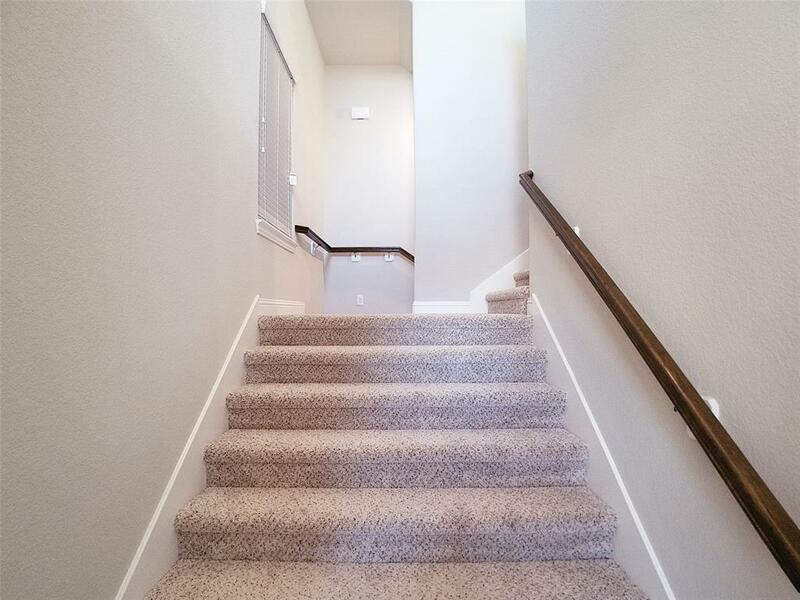 Spacious closets, Fenced back yard, Gated community minutes from I-10.